The Lagos State Government has announced that an additional foot bridge would be constructed at Ojota bus stop on Ikorodu road, to complement the existing one in order to contain the recent upsurge in usage by Pedestrians. 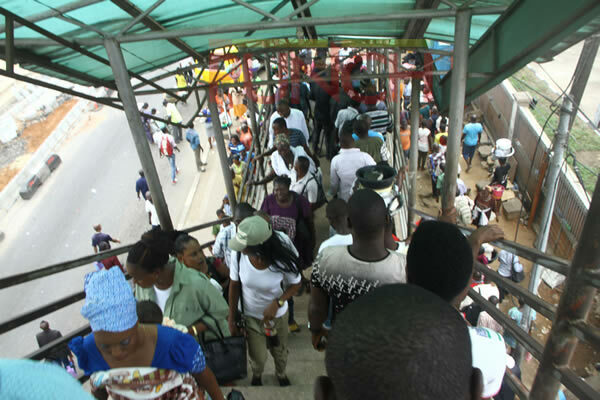 The Commissioner for Information and Strategy, Mr. Steve Ayorinde, who disclosed this in a statement on Thursday, said the decision arose out of the need to reduce the long time being currently spent on the queue by people using the bridge. He said the construction of the additional bridge has become necessary after the newly erected New Jersey Wall on the median of the expressway has effectively curtailed indiscriminate dropping and picking of passengers along the highway as well as dangerous crossing of the road on foot by commuters. He reiterated that the need for the construction of the wall, which is similar to the same measure taken between Ketu and Mile 12 axis of the road is meant to reduce fatalities on the part of commuters crossing the highway and the traffic gridlock caused by commercial buses and motorcycles engaging in indiscriminate dropping and picking of passengers. While commending the orderly conduct of commuters in the usage of the bridge, the statement urged them to be patient with government until the new one is constructed, adding that the project is expected to be delivered within three months. Ayorinde added that the new bridge will accommodate the special needs of the physically challenged, for their ease of movement.